Posted on May 20, 2015	by Katy K.
Dear readers, I have so many thoughts in my head right now that even though I’m reading wonderful books that I want to share with you, the words to talk about them keep getting trapped behind all the other thoughts: running a used book sale at my kids’ school, starting to lead a Girl Scout troop, training to be an adult literacy tutor for work, and health insurance wrangling. Even though all of it is good except for the insurance, the not finding time or head space to write reviews is leaving me feeling somewhat thwarted. So today I have a book that was on my want-to-read list for nearly a year – from the time it was first published – before I got around to reading it, helped along by its being a Cybils Young Adult Speculative Fiction Finalist. 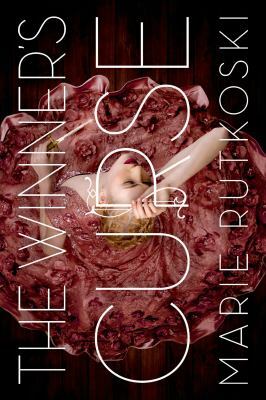 The Winner’s Curse by Marie Rutkoski. Farrar Strauss Giroux, 2014. As the daughter of the general in charge of a peninsula captured only 10 years earlier, Kestrel enjoys a high position in Valorian society, even if she doesn’t agree with it all the time. She’s mostly against slavery – but as the story opens, she surprises herself by bidding an outrageous amount on a handsome slave her own age. It’s not, as everyone supposes, because she wants him as a lover, but because of the fierce wildness she sees in him. As she gets to know him, attraction does develop, made extremely difficult by their disparate positions in society. She will always be one of his oppressors, no matter how much they bond over a love of music and horse-riding. Though I normally look for diversity in my reading, here I really appreciated that Rutkoski explores a clearly unequal relationship while leaving our cultural race baggage out of it. I’m starting with the romance, and the romance part of the thread is strong and definitely swoon-worthy. Often in teen romances where the characters are mooning about over each other, I want to tell them to cut the melodrama – just go and talk to the other person and it will all work itself out. In this situation, with all of society set up between the two of them, it’s clear that it will take a lot more for Kestrel and Arin to work things out. In Kestrel’s empire-driven society, young people must either marry or join the army by 18. She’s never been interested in either, and her déclassé love for playing the piano makes her especially uninterested in risking injury to her hands by joining the army. Now her father sets her an ultimatum: choose one of the two by the end of the year. However, the romance is part of a much larger political story. The cultures are roughly analogous to the Roman takeover of Greece, with the highly cultured Herrani shocked at their takeover by the barbarian Valorian, though the fashion and the presence of books and pianos makes this feel more Victorian than ancient. The Valorian simply killed and enslaved the Herrani and moved into their houses, leaving a high level of resentment. As Kestrel is the general’s daughter, Arin once held a high position in Herrani society. Revolution is afoot, and Arin will be at the center of it. Even though the romance is passionate, the kiss count is low and the body count high. As I was reading this, I thought that Romeo and Juliet had it easy. Here we have the same doomed passion, but where Romeo and Juliet both put their love for each other above family and eventually life itself, Kestrel and Arin fight to stay loyal to all sides at the same time and refuse to take the easy route of death. 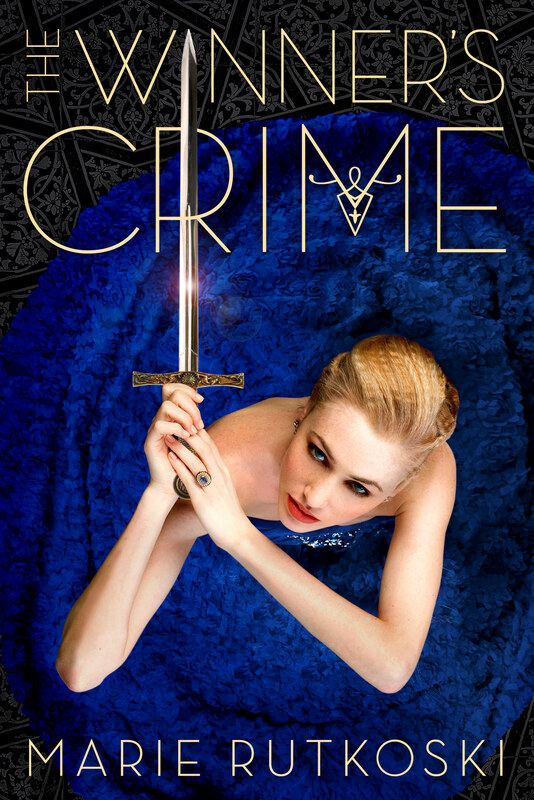 The Winner’s Crime by Marie Rutkoski. Farrar Straus Giroux, 2015. This story is mostly set in Val, the capital of Valoria. Kestrel is hiding her feelings from Arin and getting to know prince Verex, considered “milk-blooded” by his ruthless and manipulative father the Emperor, but who still has some good survival skills to teach Kestrel. I’m not going to say too much in the interests of avoiding spoilers. There are new and complex characters, including Tensen, the Herrani minister of agriculture, new cultures, and looking at the cost of empire-building and loyalty vs. human life. The politics are dangerous in the extreme, and Arin and Kestrel are sadly together mostly in imagination. I really hope that boys in particular are not put off from reading this series by the Beautiful Dress covers, as there is plenty to keep non-romance focused readers interested. The ending was devastating and kept me awake for several hours at night after I read it. I despair of the series having a happy ending at this point, but this will not stop me from reading more as soon the next one comes out, which will not be soon enough. After you’ve read these, you could go back to Rutkoski’s past books – the Kronos Chronicles, a middle grade fantasy trilogy beginning with The Cabinet of Wonders, and The Shadow Society, which is contemporary YA alternate reality book. This entry was posted in Books and tagged historical fantasy, teen fantasy. Bookmark the permalink.